Our Scunthorpe superstore is our premier flagship store. We have over 6000 square feet of retail space, which makes it one of the largest mobility superstores in the UK, you are sure to find what you are looking for here. Anthony and Diane have been serving the people of Scunthorpe for over 5 years with tremendous success. We also have customers travelling from far and wide to visit our Scunthorpe store. The store is located on the busy Brigg Road, next door to Wynsors Shoes with ample outside the door disabled parking bays. Inside the store there are over 3000 products. These range from bathing aids to beds. We have the best selection of high seat and rise and recline chairs. In-store there are rows and rows of new and reconditioned scooters we are sure there is something for everyone here. Anthony and Diane give a warm welcome to old and new customers alike, so for friendly help and advice or even just a chat and a cup of tea come and speak to Anthony and Diane. 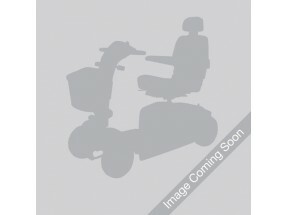 We have 11 used mobility scooters that are available to view at our Scunthorpe store. Eden Mobility in Scunthorpe have a range of mobility scooters available in store and online for you to see. Pop down to our Scunthorpe store to see the full range yourself. If you have any queries, our team will be more than happy to help. To speak to somebody now, please don't hesitate to call us on 0800 652 8444. If you are looking for a powerchair, head down to your local Scunthorpe store today. We have a wide range of powerchairs available for you to see in our store as well as here on our website. To view the full range, please click the button below. Eden Mobility have have a variety of rise & recliner chairs available online and in store. Come and visit the Scunthorpe store to see the full range for yourself today - all of our rise and recliner chairs are of the highest quality and have a variety of colour options available. If you are looking for Stairlifts in Scunthorpe, speak to us. We can install straight and curved stairlifts onto even the most complicated staircases. Visit our store today for a free live demonstration; our friendly team will be happy to assist you with any queries you may have. Eden Mobility can supply a whole range of wheelchairs. This include lightweight and foldable wheelchairs. Come and visit the Eden Mobility store today to see some of our range for yourself.